So it’s been a month since hitting the MCA Zine Fair. 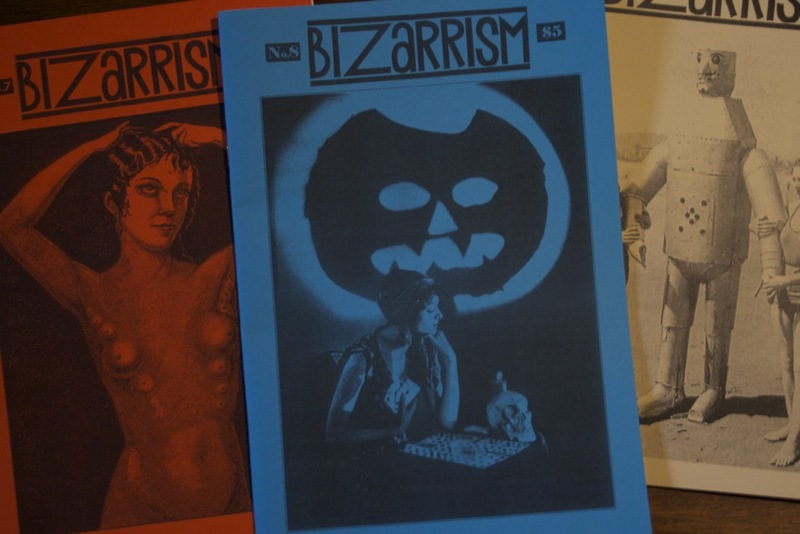 And finally, I’ve had the chance to read through the zines I picked up. A font of counter culture and eccentric history, you pickup Bizarrism if you want to learn about the odder aspects of dictators, criminals, conspiracies and the occult. I particularly like the look and feel of it. Each cover is dredged up from the yesteryear and the layout and print quality is in line with something that was arranged by by hand and run through a mimeograph. The paper quality is heavy, give each issue a nice weight and this reflects the weird knowledge contained therein. 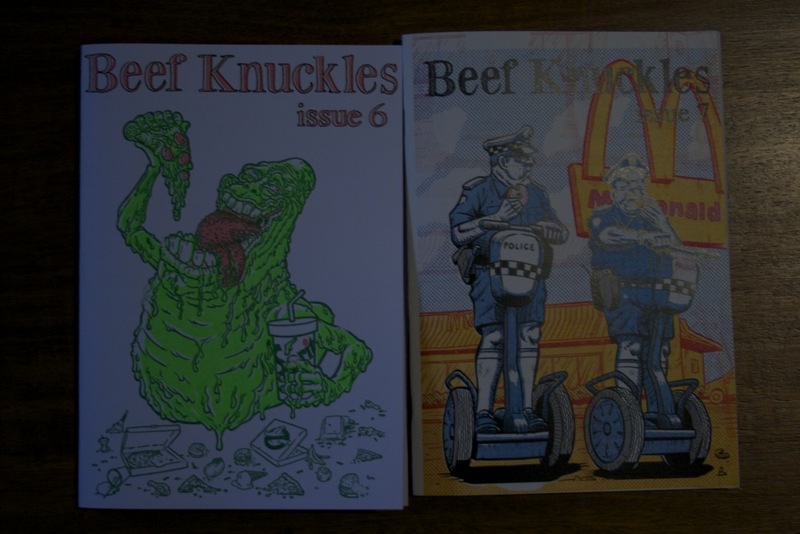 I always enjoy the covers of Beef Knuckles. 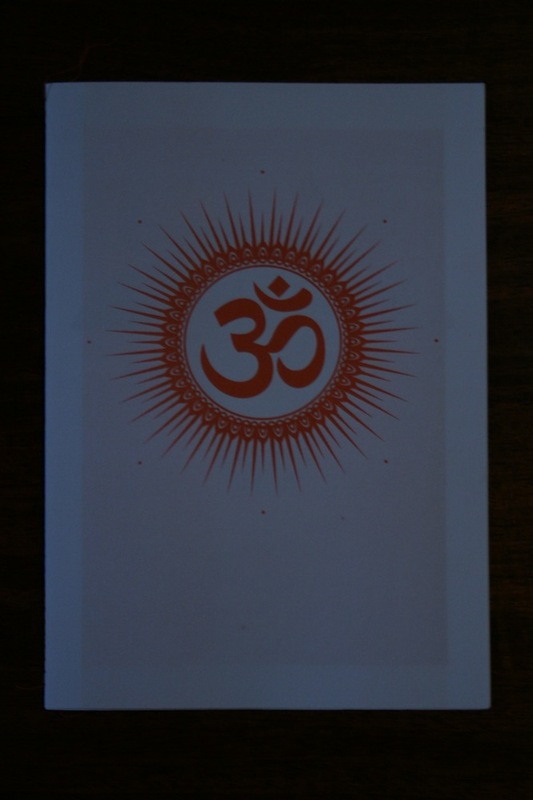 Each one is priceless and the offset colours make them seem screen-printed. It’s a nice illusion if they are not. The normally contain some entertaining art and prose and I think at five of you filthy lucre a pop, its worth your time. This one sold out at the con, and for obvious reasons as the art inside is a high-quality chop. 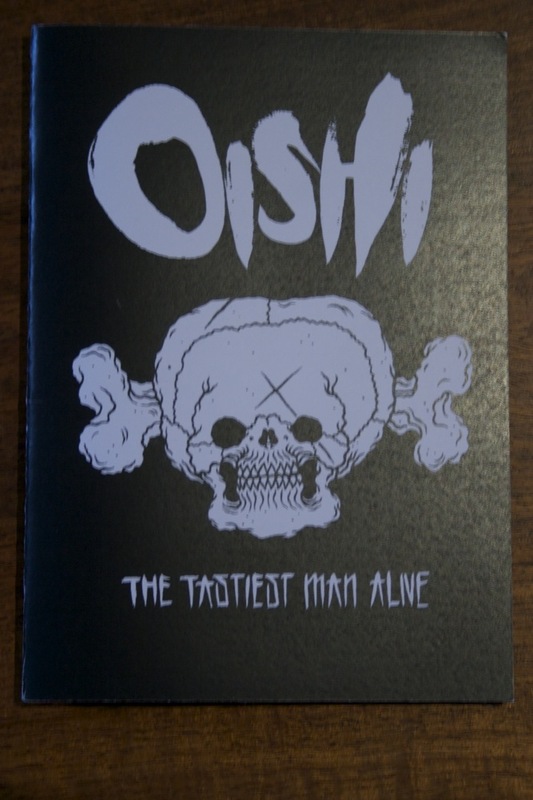 It’s a picture book of Oishi in constant peril as various horrors and kaiju attempt to devour the tastiest man. The art style is a bit like if Geof Darrow Jose Van Ryp was born in the Land of the Rising Sun. 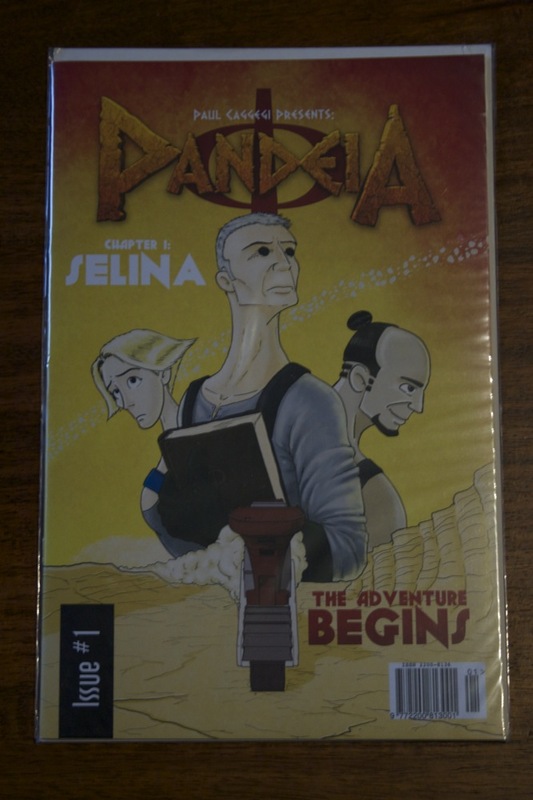 The story is about a trio of explorers attempting to unlock the secrets of a desert, as are other powerful factions. It’s interesting, and I’m pretty keen on where this story goes, because parts of it remind me of Teppen Toppen Gurren Lagan. I picked this up from a stall next to the Canberra Zine Emporium’s stall. It looked interesting, filled with the various traditional icons we would associate with Tibet (at least in the spiritual sense, not the political du jour sense). This entry was posted in zine and tagged review, zine. Bookmark the permalink.